We had about 20 attendees at the BoF Wednesday night. Gabrielle, Bruce and I forged ahead without visual aids (there wasn’t a projector available) and talked about some highlights from the 9.2 release, then had a Q&A session for the remainder of the hour. – Almost all of the old shirts are gone. We have a few small women’s shirts left, but that’s it. – The stickers were popular. 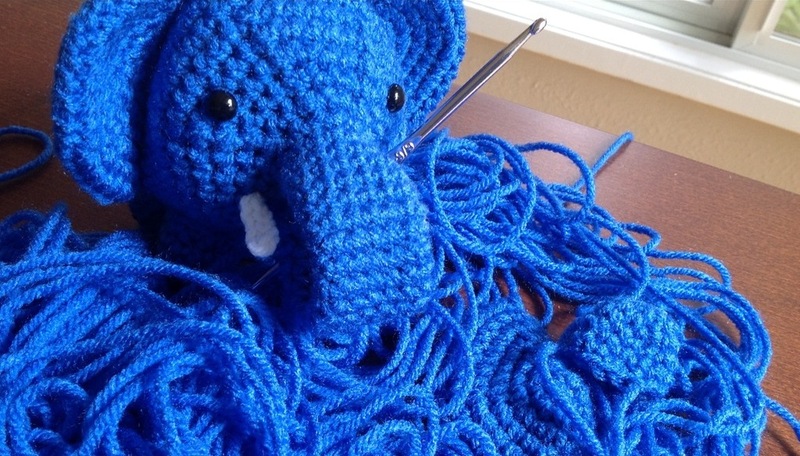 – We sold 4 of Mark’s amigurumi elephants, and raffled one off in the BOF. We had fewer visitors than past years, despite this being the biggest OSCON ever. Our booth was off to the side, facing away from the expo hall, and I think people didn’t know we were there. Ubuntu had a booth right next to us, and Gabrielle heard on the Ubuntu list that a couple people couldn’t find their booth either, so I think booth placement had a lot to do with our reduced traffic. And thanks to Josh Berkus for getting shirts for the volunteers! 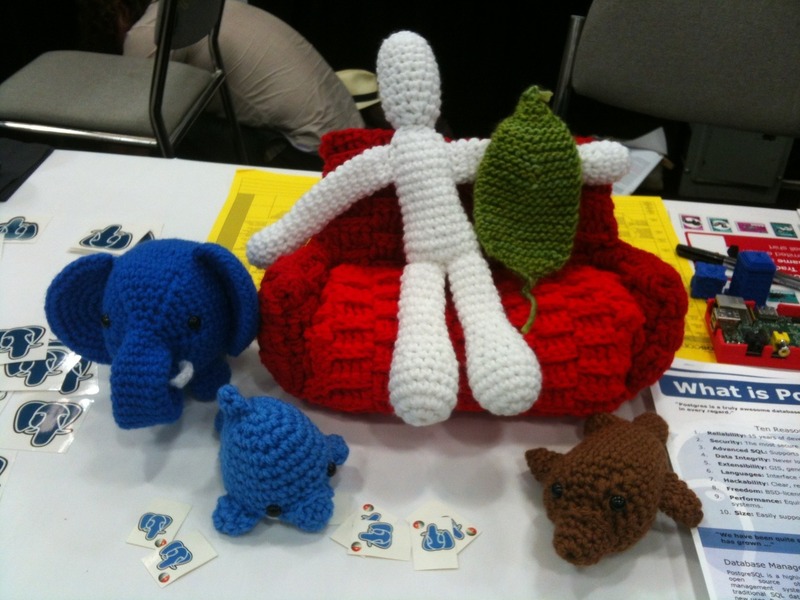 Special thanks to Jennifer Wyld for helping include MongoDB in our amigurumi family.